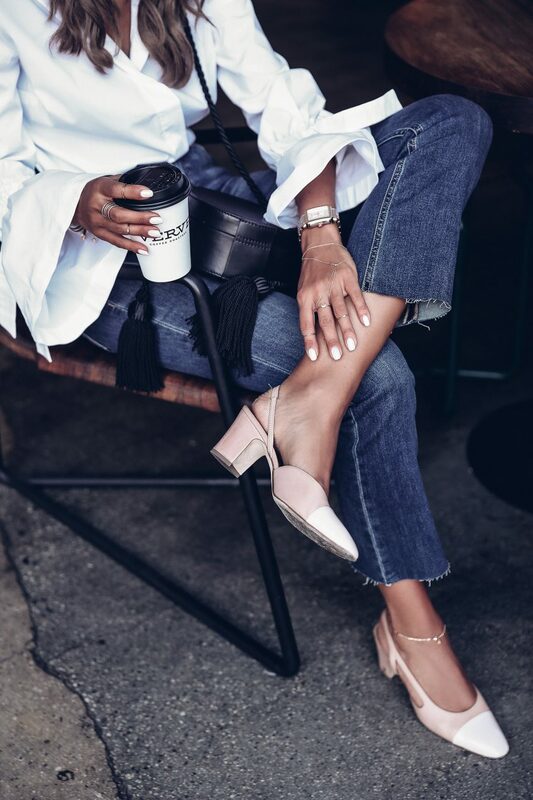 My love for not so basic basics continues… Currently, I am on a high-waisted cropped flare jeans high, because, well… because they pair so beautifully with anything from crop tops to tucked in lose-fitting button-downs and everything in between. In fact, I am so addicted at this point, I’ve been buying them in every color imaginable, but the dark navy pair I am sporting in today’s post is my favorite by far. Aside from the fact that this particular wash makes them a bit more evening appropriate, which means that not only can I wear them during the day, but I can easily dress them up for night, the reason why I love this particular pair os because of the way it fits. 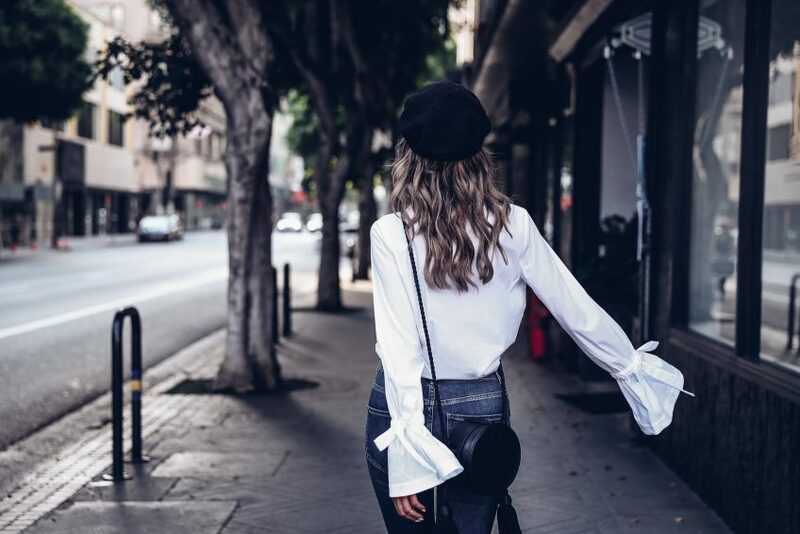 The high waist helps to elongate the silhouette, and the cropped length means that I can pair these with pretty much every shoe style imaginable from high-heeled pumps, and sappy sandals, to sneakers and slides. Love, love, love that! This time around, I paired them with yet another favorite, i.e. 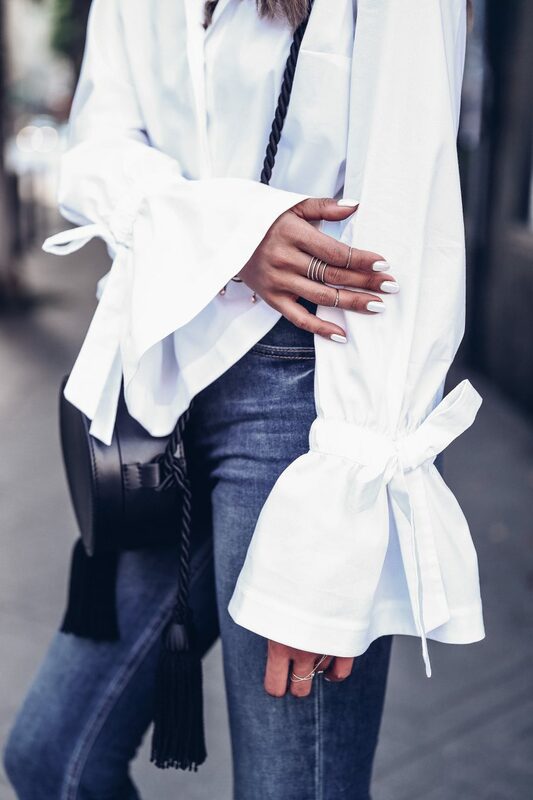 a statement making button-down with exaggerated, bow-embellished sleeves. 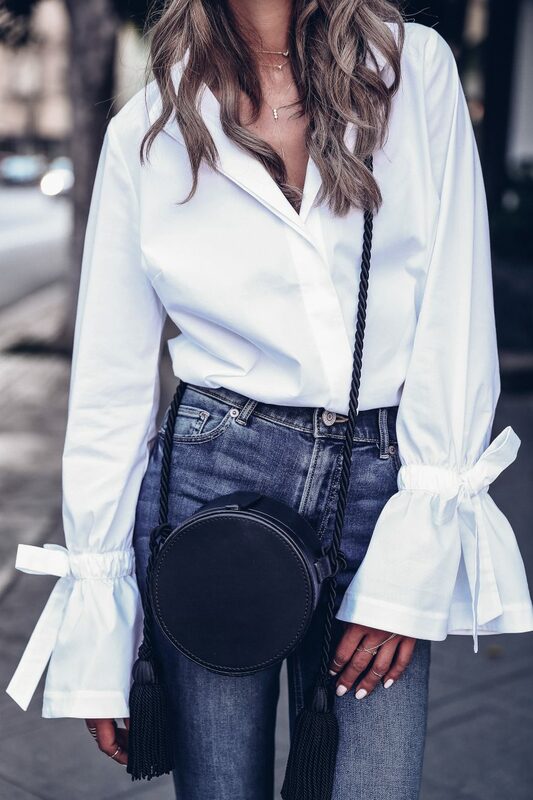 As I have mentioned before, as much as I love a good basic, I always look for special details that make those live-in basics a bit more special, and this top is a great example of that. Perfect on it’s own, I also love the way it looks under any structured topped like a cool leather or denim jacket, or my personal all-time favorite: a fitted, perfectly tailored blazer. Basically, win, win in every possible way and of course you know how much I love that! Special thank you to Express for partnering with me on this post. Look into the Camera and smile more….. you are wasting your beautiful smile! I know these photos are supposed to be random snaps of you. But once in a while a look and smile into the camera would really warm the photo up…. I am sure other’s (like myself) love your smile too! Breathtakingly beautiful, looking like a Chanel doll on these photos!! I’m loving your Parisienne chic outfit! Im just so obsessed with your style, seriously this is insanely gorgeous!! Love the tie detail in the sleeves! 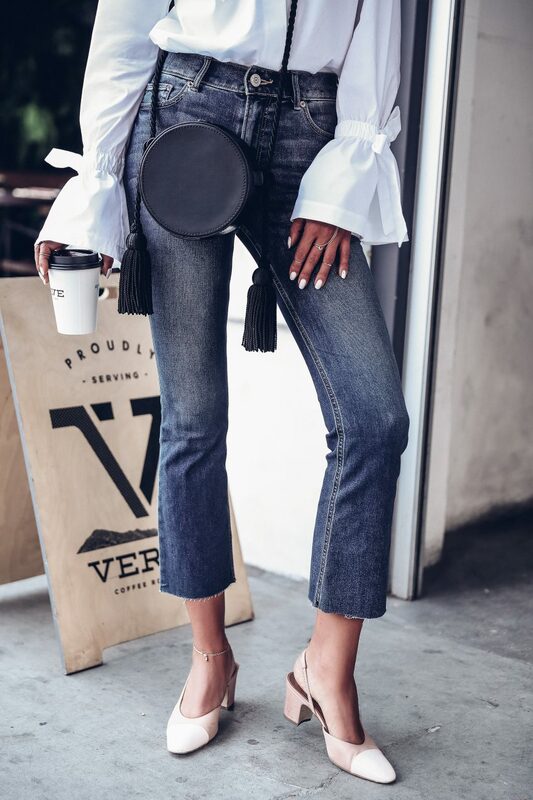 These jeans mixed with the Chanel pumps are just perfect !